He is talented enough a film-maker to have been entrusted glamour projects like Pride & Prejudice and Atonement; she, international music royalty and a talented sitarist herself. 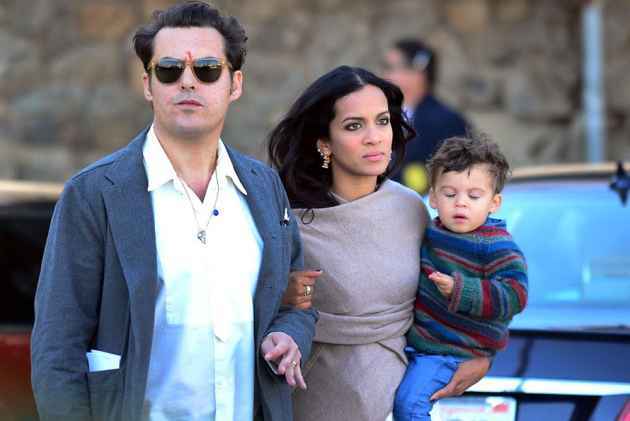 Joe Wright and Anoushka Shankar’s marriage seemed almost solid amidst bursting bubbles of celebrity matrimony. Sadly, they’ve announced the end of it. We’ll leave it at that. This is a love story. 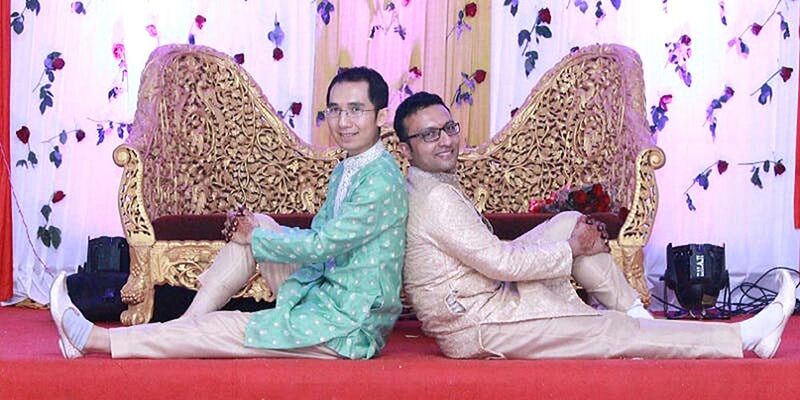 Hrishi (right), 43, an IIT graduate, lives in California. Vinh an American-Vietn­a­mese national, is a teacher. They met at an online dating site, fell in love, and decided to marry. Hrishi’s parents (they took part in a gay pride par­ade in San Fran­cisco) celebrated their marriage with a rec­eption in their hometown, Yavatmal, which is “far more progressive than one would imagine”, says Hrishi. 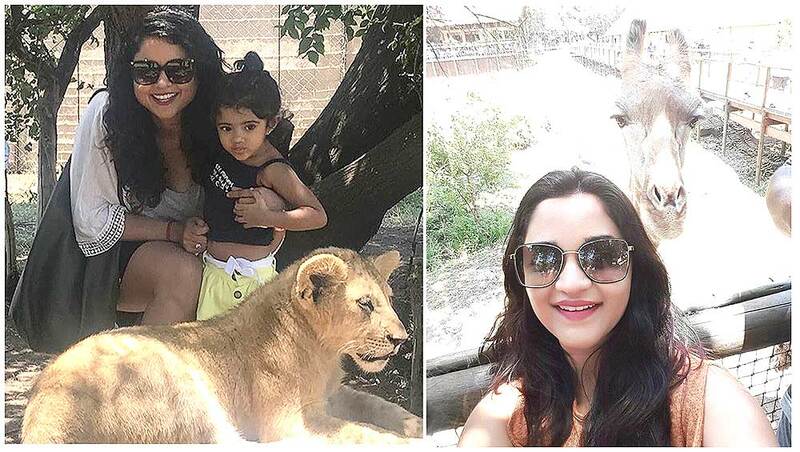 Tanya (better half of Umesh Yadav). Evidently, they had a grand time. Well played, ladies. A discussion on ‘Women on the big screen who question, challenge, break the rules’, at a Calcutta literary festival, required heavyweights to do justice to it. 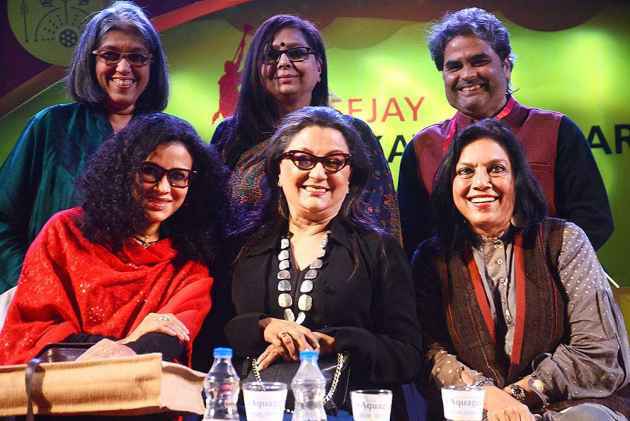 Assembled in a happy group, they were (clockwise from top left) Ratna Pathak Shah, Modhurima Sinha (moderator), Vishal Bhardwaj, Mira Nair, Aparna Sen and Nandana Dev Sen. When we first featured Shobita Dhulipala on these pages, she was a newly minted Miss India. Now, the courageous actress has opened up about how that title—contested only to show her mettle and dispel small-town insecurities—“damaged her self-esteem”, reducing her to an entertainer easy on the eye. Does she red­eem herself in Kaala­kaandi? Watch the film if it is still playing. Chinese audiences’ app­etite for Bollywood drama rages unabated. The latest one to have the Peking boys sta­m­pede into the theatres and Shanghai’s dames squeal in pleasant fright is Sriram Raghavan’s suspense thriller Andha Dhun (marketed also as Piano Player, shades of Truffaut crime caper here) starring Ayushmann and Radhika. Rs 219 crore in two weeks is a handily handsome strike rate. Long live our ‘soft power’. CSK Watch In this glad season for the Chennai Super Kings, ace atta­cking spinner Imran Tahir has been a sight to behold—his tight-fisted, spread-armed sprint after a wicket popular as ever on and off the field. 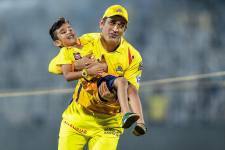 After another easy win, skipper Dhoni dared Tahir’s son for a race. We don’t know who won, but it dissolved into a softly-softly celebration. Can Uncle Cool do it like Dad? We doubt it. A midfield sultan meets a ruling badshah on the sidelines of an amphitheatre. That would be Shahrukh’s London meeting with Arse­nal’s central scimitar, Mesut Ozil. After damning the hypocrisy in German mult­i­­cultur­ism, Ozil is in a smoother space. SRK, who is huge in Turkey, where Ozil’s roots lie, got a (rather formal) welcome in Hindi too. The Lok Sabha elections draw near, so does the biopic of the country’s prime minister. Perfectly timed its rele­ase might be, but PM Narendra Modi has earned the ire of lyricist Javed Akhtar—he was wrongly credited for work in a project he wasn’t involved in. Then there’s scepticism about how good a likeness is a shapely Vivek Oberoi for our most prominent politician. 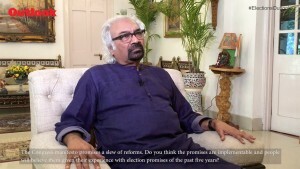 Ah, but just go in for the old-­fashioned songs: Ye desh nahin mitne dunga, sings a pat­riotic Modi in the film.